This site is being archived for preservation by the British Library Web Archive. The first RLS site and direct ancestor of this one was founded by Prof Richard Dury at the University of Bergamo in December 1996. 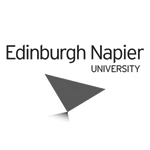 In December 2008, the web team at Edinburgh Napier University began to develop the new RLS Website. 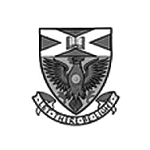 This was made possible by a £34,500 grant from the Carnegie Trust for the Universities of Scotland. The RLS Website is a freely available online resource dedicated to the life and works of Robert Louis Stevenson. The site makes Stevenson texts and information about his life and works available worldwide, appealing to students, scholars and enthusiasts. 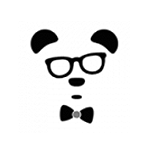 Originally created by Prof Richard Dury, the site was redesigned and extended under the guidance of Prof Linda Dryden of the Centre for Literature and Writing (CLAW) at Edinburgh Napier University. Dr Hilary Grimes is the researcher and content writer for the project, and Callum Egan is the web designer. In addition, Prof David Benyon has offered his expertise on design and usability aspects of the site. 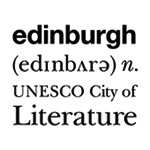 The project has received support from Edinburgh and Stirling Universities, literary trusts like the City of Literature, the Writers’ Museum (The Edinburgh Museums Service), and Stevenson enthusiasts, museum curators and academics worldwide. The newly designed website contains pages devoted to each of Stevenson’s texts, including plot synopses, full texts with page turner facilities, and information about their publication and reception. Also included are biographical pages on Stevenson, and information on his family, friends, and literary network. Other pages outline information about locations to visit for those wishing to follow in Stevenson’s footsteps. Details of RLS museums and libraries with significant Stevenson collections and links to useful sites are also available. On the website you will also find the RLS Archive: an ongoing scholarly resource, offering up-to-date, rigorous bibliographies on Robert Louis Stevenson. For example, you will find lists of bibliographies about RLS’s life, works, and travels as well as bibliographies of critical writings on Stevenson (complete with brief synopses). You will also find lists of the film, television, radio, play and other adaptations of Stevenson’s works. Galleries of images of RLS himself are a particular feature of the website. A unique entry on the site is images from the photograph albums the Stevenson family kept in Samoa (courtesy of the Writers’ Museum and digitized by Capital Collections), many of which have never been seen by the general public before. A Schools section contains information and resources for school students, including reading packs from the City of Literature and a recommended reading list for young scholars. Full-texts of past issues of the Journal of Stevenson Studies are available to download. An RLS Community section contains pages of information about Stevenson societies throughout the world, upcoming events on Stevenson and the RLS Newsletter. This new RLS website will be a considerable resource for scholars and enthusiasts of Stevenson, more comprehensive than any current such resource. It not only provides information and images about Stevenson, but also situates Stevenson firmly in Edinburgh, focusing on the city’s – and Scotland’s – influence on his writing, an aspect of Stevenson studies which has too often been overlooked. Collecting together under one site all the past and current scholarly work on RLS, as well as the full texts and a significant proportion of the available photographs of the author, this site will reach a world-wide audience, many of whom would not otherwise have access to this material. 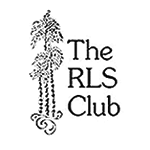 The RLS Website will make a significant contribution to the growing reputation of RLS as an important literary figure and personality of the late nineteenth century. 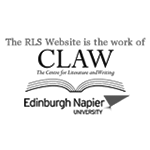 The RLS Website was launched on 13 November 2009.